Peter Thomson is credited with 3 Thailand golf courses; Greenwood Golf in Pattaya, Rayong Green Valley in Pattaya, and Royal Chiangmai Golf Resort. The golf course at Greenwood Golf & Resort (formerly Noble Place) in Pattaya is located among tree lined hills and this very scenic course with extensive fauna and landscaping. It is a thinking man’s, British style, course with many pot bunkers, fairway undulations and waste areas of ’native’ lemon grass which require particular skills to hit out of. Unlike other Pattaya golf courses there are not a lot of water hazards. Noble Place has been a personal favorite of mine since I first played it. Unfortunately, it was poorly maintained and fell into disuse. So, I was delighted when, in December 2006, the former Noble Place Golf Resort was officially changed to Greenwood Golf Resort. The owners have been upgrading the facilities and the course now sports new white sand bunkers and a revamped clubhouse. 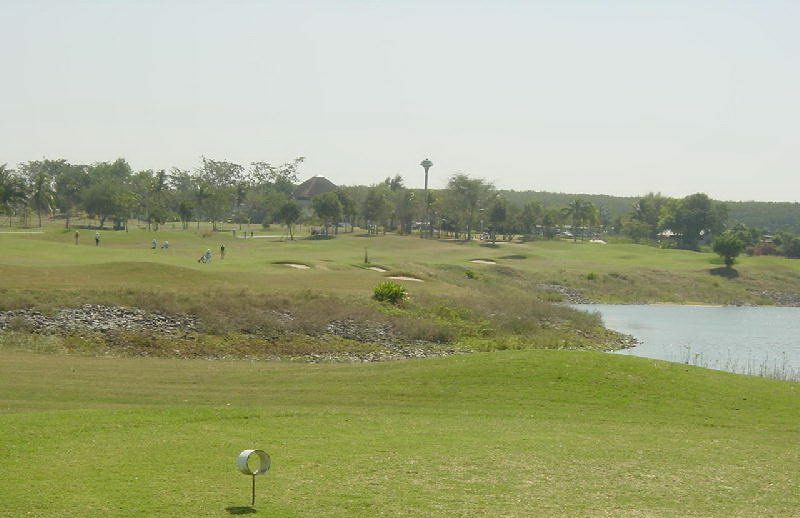 This relatively lesser know golf course is now one of the best deals in the Pattaya area. Rayong Green Valley Country Club is 45 minutes from Pattaya.. It is an intelligent, beautifully landscaped links style course set on a gently sloping landscape amongst a wide variety of well established trees and a natural terrain of rocky outcrops and boulders, water courses and colorful flora. Bunkers have been used cleverly, inviting a good golfer to go for the drive over them while the (experienced) lesser player has plenty of room to lay up. The well maintained conditions make it a good choice for inclusion as part of any Pattaya golf vacation. The large club house is shared with it’s sister St. Andrews 2000 Golf Club. Royal Chiang Mai Golf Resort is an exciting and challenging course for the amateur and professional alike, whilst still keeping in harmony with the natural scenery and rolling countryside. The course also uses elements from a British links style course, including bumpy gently rolling fairways, pot bunkers and closely mowed areas around the greens. Strategic positioning of fairway and green side bunkers calls for accurate play, rather than long hitting. Royal Chiang Mai is set in a beautiful valley and the scenery is magnificent. The high altitude provides a cooler, less humid climate, with refreshing air, and gentle breezes. Royal Chiangmai is one of the better maintained Chaingmai golf resorts and is a good choice for anyone on a Chiangmai golf holiday.